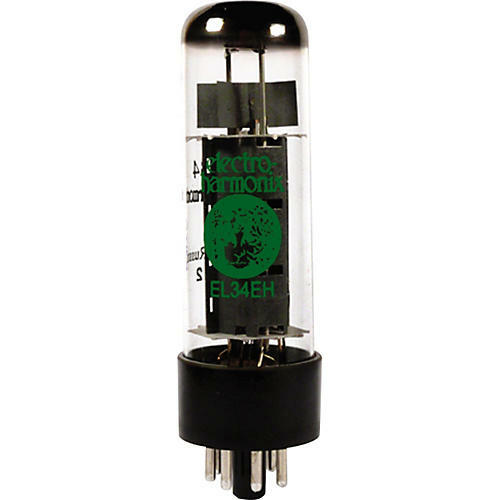 The Electro-Harmonix EL34EH is an extremely musical and predictable power tube with a sound that is rich, smooth, and detailed without being edgy. It is the perfect EL34 for vintage equipment and a sure way to improve the performance of modern equipment. These are Electro-Harmonix EL34EH's in platinum matched sets. Their platinum matching process consists of a 24-hour tube burn-in period followed by a bias (plate) current measurement in milliamps.